Time now to turn our attention to our Cruise of the Inland Waterways of the Netherlands. There is one berth still available. It is not too late to join us for this unique adventure! Where will we go in 2020? Chesapeake Flotillas will sail among the Cyclades Islands of Greece! The trip is currently sold out but let Capt. Rob know if you want to be on the wait-list. Capt. Rob was featured in the June/July issue of Boat US magazine! Capt. Rob has found another opportunity to sail! If you charter from Dream Yacht Charter in Annapolis, ask for Captain Rob as your captain. Capt. Rob is writing articles for My Boat Life online magazine. You will find all of his articles at this link. Be sure to like our Facebook Page for Chesapeake Flotillas. Click here to do that now. Whether your interest is in domestic sailing opportunities or exploring foreign venues by water, Chesapeake Flotillas offers all-inclusive vacation packages at excellent values. From the Chesapeake Bay to the warm waters of the Caribbean and to the deep blue waters of the Mediterranean Sea, we deliver excellent travel experiences to our clients. Click the links below to learn more about what we offer. Chesapeake Flotillas offers two- or three-day training opportunities on several skills. Do you need some additional training in Boat Handling or Coastal Navigation? Some courses are designed especially for women sailors. Gather up your friends and come learn with Capt. Rob and Chef Theresa. Click here for more details on our training and course offerings. Captain Rob Chichester is a USCG licensed Master. 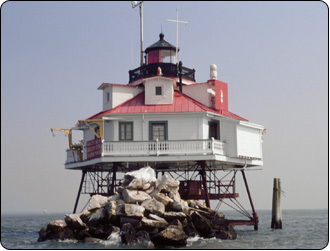 He is available to relocate your vessel along the East Coast or within the Chesapeake Bay region. Captain Rob is also prepared to speak about or present seminars on a variety of topics from Cruising the Chesapeake Bay to steps to getting a Captain's license. For more information on Captain Rob's background and qualifications and that of his available crew, click this link. Chesapeake Flotillas accepts payment by credit or debit card as well as cash, check, or money order. Call Capt. Rob for information on the most convenient way to pay for your next sailing experience. The Journey IS the Destination!